Almost three years ago, in late March 2010, Shirley Sherrod, who was then the USDA state director of rural development for Georgia, gave a forthright speech about her life story at an NAACP banquet. She told of how a White sheriff had lynched her cousin in 1943, how her father was killed by a White neighbor who went uncharged despite three witnesses, and how after her father’s death she dedicated herself to staying in Georgia to work for change. Initially, she said, her commitment was limited to the Black community, but in 1985, her mind was changed. They acquired 5,700 acres, becoming one of the largest Black-owned properties in the nation at the time. It was a success that did not come without caveats. Racist terrorists would occasionally strafe the farm’s buildings with gunfire, and local banks still often refused financing to the community. They also faced systematic discrimination from the local and national government, especially the USDA. When drought struck in the early 1980s, the USDA refused New Communities an emergency loan for an irrigation system with no explanation, while giving loans out to white farmers in similar situations. In 1982, when New Communities sold some timber to raise cash, the USDA insisted on taking the profits from the sale before giving another loan. An arbitrator later wrote, “The payment smacks of nothing more than aÃ‚Â feudal baron demanding additional crops from his serfs.” The following year, when New Communities applied for another loan, the USDA demanded the title to their land as collateral, but then did not disburse the loan. By 1985, New Communities was forced to close its doors. CHICAGO, IL Â â€“ The Cook County Democratic Party Friday endorsed Gov. Patrick Quinn for re-election and a full slate of candidates for the March Primary. In addition to Gov. Quinn, the County Democratic Party endorsed U.S. Sen. Richard Durbin, Secretary of State Jesse White and Attorney General Lisa Madigan for re-election. The Party also endorsed Lt. Gov. Sheila Simon for Comptroller and State Sen. Mike Frerichs. For county-wide offices the party endorsed President of the Cook County Board Toni Preckwinkle, Sheriff Thomas Dart, Assessor Joseph Berrios, Treasurer Maria Pappas and Clerk David Orr for re-election. Avila, Tim Bradford and Josina Morita, the first Asian-American slated for Cook County-wide. Board of Review 3 Â District Commissioner Larry Rogers Jr. was endorsed for re-election. For the Appellate Court, the party slated David Ellis, Freddrenna Lyle and John Simon.Â Alternates were John Kirby, Sheldon Harris, Raul Vega and William Boyd. 50 Chicago Ward and 30 Township Committeemen. U.S. Attorney General Eric Holder has issued new directives to his U.S. attorneys in the field to use prosecutorial discretion and stop pursuing low-level drug possession cases that carry high minimum mandatory prison sentences. While state prison populations are finally slowly going down, the federal prison system continues to grow with non-violent drug convictions. Also Judge Shira Scheindlin, a federal district judge in New York, has ruled that New York City’s controversial stop-and-frisk policy was clearly biased in stopping Black and Latino people out of proportion to the initial behaviors that made police instigate their searches. Thousands of innocent young Black and Latino men were being prejudged by the police, losing their Constitutional rights and liberties based more on their race than on evidence. These two events will give extra meaning to the upcoming March on Washington, taking place to renew the national conversation sparked 50 years ago by the March for Jobs and Justice in 1963. There was already a renewed sense about the march because of the Supreme Court’s ruling on the Voting Rights Act and by the Trayvon Martin case in Florida. Attorney General Holder and Judge Scheindlin are moving the country in the right direction to discuss the racial implications of policies. And, there are dots connecting Trayvon Martin to Holder’s actions to Scheindlin’s ruling. There are real costs to any action. And, the implications of policies that are not rational have costs for everyone. The need to discuss race is not just one of justice-though justice is the fabric of any sustainable society. Scheindlin’s ruling points to the cavalier attitude of New York City’s leadership in a policy that was inefficient, and therefore costly. A stated purpose of the stop-and-frisk policy was to reduce violent crime and get guns off the streets of New York and out of the hand of criminals. Yet, the data from the police searches clearly indicated that police were more likely to find weapons when they stopped and frisked Whites than Blacks or Latinos. So, all the thousands of times and hours police occupied themselves detaining young Black and Latino men were the thousands of hours the real criminals were free to go unnoticed. Yet, blinded by their own view of race and crime, the police ignored their own statistics and defiantly challenged the ruling of Scheindlin in a press conference; calling her ill-informed. What most disturbed the Black community in the ruling of the Trayvon Martin case was a similar issue. A young Black man, walking alone, quietly talking on a cell phone, minding his own business and eating Skittles candy was profiled, followed and stalked by a civilian neighborhood watch volunteer. Though Martin was not engaged in any suspicious activity, other than he was “Black” and a young man walking through the neighborhood. The decision to cavalierly excuse his murder reflects a value on Martin’s life that underlies the defiance of Mayor Michael Bloomberg and the New York City police that black men do not have a value in society. Martin was disposable. And, the interrupted lives of the hundreds of thousands of innocent Black and Latino men stopped by the New York police have no value. In the big equation, Martin can be disposed and thousands of lives can be affected because society’s sense of safety outweighs the logic of the evidence of innocence on the part of Black and Latino men. So, Holder’s step is in the right direction of reweighting the big equation. Locking up large numbers of people is not free. It is very costly. The dramatic rise in incarceration began in the late 1980s, blindly taking on costs and government resources was not free. At the state level, its clear manifestation was in the dramatic increase in the share of state budgets that had to go to building and maintaining prisons. The costs rose so fast that many states were seduced into “privatizing” their systems, which increased the cost spent by states per prisoner. The National Association of State Budget Officers reported this year that the cost spent per prisoner rose from slightly more than $5,000 in 1985 to nearly $7,000 by 2008 (controlling for inflation), about equal to state expenditures per full-time college student. So, a state’s decision to incarcerate someone literally is a choice between the resources to support one more college student or jail one more person. At the federal level, rising costs of incarceration have to be balanced against other priorities of the Justice Department, like reducing violent crime, financial misconduct and fighting terrorism. Locking up non-violent drug offenders for long periods means fewer dollars to go after the Wall Street criminals that helped collapse our economic system. The recent news that the Justice Department is likely to file charges against some J.P. Morgan employees for financial fraud should underscore this connection. There must be a cost benefit analysis done of public policies like high incarceration rates. To the millions of America’s families struggling with college tuition costs, this is not a moot point. Ineffectual criminal justice policies cost families the support needed to keep public higher education quality high. The argument about tuition costs has ignored the quality issues. Gone is a conversation about keeping University of California at Berkeley and the University of Michigan competitive in quality with the Ivy League; we have reduced the issue to keeping them cheap-like Walmart. In fact, the State Budget Officers, in their report, chastise the higher education community for seeking support of the college enterprise with all its bells and whistles of research, insisting that states should only bear the costs of operating budgets for basic instructional functions. Of course, a quality university is a place of research; the generation of new ideas and innovation, the very engine of economic growth. And, the challenge for America going forward is giving broad-based access to our children to the skills to innovate and invent prosperity for our nation. But, if the correction’s budget for the state goes unchallenged and can grow and gobble-up more resources, we cannot have the deep discussion we need on real priorities. This is where the question of race enters. As long as a low value is placed on the liberties and rights of Black men, we will not question the rationality of policies that are ineffectual. Despite evidence that the crime rate has fallen in the United States, we still insist on ever higher prison expenditures. And, we do not look at the evidence showing high incarceration rates increase recidivism in the system and does not account for the decline in the crime rate; ignoring a separate trend of declining crime is also taking place. Follow Spriggs on Twitter:Â @WSpriggs. Contact: Amaya Smith-Tune Acting Director, Media Outreach AFL-CIO 202-637-5142. Sponsors making this event possible with their generous support include Hyde Park Neighborhood Club, Chicago Parent Magazine, UrbanSitter, Foss Swim School, Mabelâ€™s Labels, Whole Foods Market Chicago, and Constructive Playthings. For more information on exhibiting at the event and for an up-to-date exhibitor listing, visit npnparents.org/expos/1159 or email schoolfairs@npnparents.org. From pregnancy through preschool, NPN connects a diverse community of families with the resources they need to navigate parenting in the city. NPN makes it easy to find support, must-have information, and amazing city events. NPN has been connecting Chicago families for more than 30 years. More than 6,000 families come to NPN for school and childcare search, our active online Discussion Forum, new parent support, parent education, social events, support groups, and discounts.Â Visit npnparents.org and join today. Besieged By Lies â€“ Who Do We Believeâ€¦Perhaps God? Posted by Admin On August - 19 - 2013 Comments Off on Besieged By Lies â€“ Who Do We Believeâ€¦Perhaps God? Often fractions of the media feed us with lies, lies and then more lies! And then after the lies comes their spirit of hypocrisy. Where does it ever end, or is it to remain with us until the Lord makes His second coming? We hear so much, and we ponder and wonder if much of it is in-fact just a word of truth! We really don’t know because often we take the word of a person who perhaps in their mind believes it to be factual! As the result of our taking what has been fed to us, we end up often with a headache, bellyache, heartache and often with the spirit of suicide … in what someone else has declared as truth! Wonder what would happen if we went back to the beginning of truth – and He who wrote it – and frame it into existence? There is but one truth and that is in fact the words that flowed from the lips of our God through our Lord and Savior Jesus Christ. All outside of that arena – are blatant lies brought to us by the deceiver – Satan! The word of God said, Let every man be a lie – and let my word be truth! Then, who do we believe, man or God. I prefer to count up the cost before it’s too late – I choose God and His eternal life. Rev. Harold E. Bailey, president of the noted Probation Challenge program, spoke briefly to Truth and Solutions’ at Probation Challengeâ€™s 34th Annual â€œPortrait of Achieverâ€™s Awards, Dinner, Entertainment and the Show of Shows August 16th at the Condesa del Mar. Bailey served 14 years as a Cook County Adult Probation Officer assigned to Justice R. Eugene Pinchamâ€™s Court, served 14 years as a member and chairman of the Cook County Board of Corrections,Â and has served 34-years as President of Probation Challenge, the first court-mandated program of its kind in the country. WASHINGTON – In the 50 years since theÂ March on Washington for Jobs and Freedom, our nation has taken tremendous strides towards realizing MLK’s Dream of ending racial inequality and achieving civil rights freedom.Â Â However, during Â the same time, the disappearance of good jobs and growing economic inequality threaten to leave MLK’s Dream unfulfilled and out of reach for millions of Americans.Â In fact, President Obama recently stated that this economic inequality isÂ weakening the country’s social fabric, undermining ordinary Americans’ belief in upward mobility and stoking race and class divisions as Americans feel they must fight for a piece of an increasingly shrinking pie. Â Civil rights legends, media commentators, and low-wage workers will discuss how MLK’s Dream – a vision that included both racialÂ andÂ economic equality – is relevant now more than ever, and what can be done today to make the Dream a reality. To RSVP, please contact Paco FabiÃ¡n atÂ paco.fabian@changetowin.org. Space is limited. Surrounded by her family at the Waterfront Terrace Nursing Home on the South Side, Magnolia Jennings Thursday smiled as she cut her own cake while celebrating her 106thÂ birthday. Born in Tchula, Mississippi,Â Jennings, the mother of three, came to Chicago in 1945 where she married Curtis Jennings. They all preceded her in death with her husband passing in 1997, but Jennings is still going strong. She even tried to dance in her wheelchair to the music of Tiffany Renea and the Euphany Band. According to Ruby Morris, marketing manager of the nursing home, Jenningsâ€™ favorite food is greens, and she spends her time crocheting, listening to gospel music and singing. In an interview at the nursing home when asked if Jenningsâ€™ parents were slaves, Elaine Ennols, 65, her niece, said, â€œ I donâ€™t know, but her parents were not slaves. Her mother had a very nice plot of land in Mississippi. Â No one in my family spoke of slavery. My aunt talked about picking cotton, but my grandmother had her own land in Mississippi. â€œShe was not poor when she left the south. She had thousands of dollars when she left the south,â€ recalled Ennols. â€œWhen they came to Chicago in 1945, they bought a three-story home at 53rdÂ and Wells. They were not poor. Money was in our family. None of my uncles ever needed welfare. They had a nice home. I never heard of slavery from them and I spent my summers in Chicago,â€ recalled Ennols. Ennolsâ€™ mother Thelma Montgomery, 88, the youngest of one of nine children, also said, â€œI cannot remember of anyone speaking of slavery in our family. One of my grandmothers was a midwife.â€ Ennols said she would get her daughter to do research on her family. Jennings, who never went past the fourth grade but was a housewife all of her married life, smiled again as a salute to her read by Treana Johnson, a public information specialist representing Dorothy Brown, Clerk of the Circuit Court. Montgomery remembers her parents well. â€œThey picked cotton and worked on the plantation.â€ Asked if they owned the land, and if her parents were slaves, Montgomery said, â€œThey were not slaves, never. My grandmother was a midwife and my father worked on a farm. My dad worked on a farm and fished. I canâ€™t complain about my family,â€ she said. Nationwide (BlackNews.com) — Marshon Thomas is an indie film producer from the San Francisco Bay Area. He’s best known as the Associate Producer for the short film “The Process” which won an award for best dark comedy at the 2012 Los Angeles Film TV and Webisode Festival. Â Marshon will be an Associate Producer on Spike Lee’s Newest Hottest Spike Lee Joint via Kickstarter. The Kickstarter campaign (http://r20.rs6.net/tn.jsp?e=0010BpBMSeeWeFZkcRVLrucVqzm09X2rvba_tb7GAv0icyVTFclw-rkC8cnhTSt3q26m4A3Pc3YVQ-pV84crPZJD2e3rPxE4-re0lvtRxP7mZrf-G90heu_1Xi42Q3Ax-2_cjX3YO1Q1iAk8JhU5tfppS9iUoM4k2RtGE3prkI_pv_hi-J_Z5YIFLd3RSM4kWEEQG1lA7jNV6Y=) will end Wednesday Aug 21, 12:15pm EDT. Marshon Thomas, is also the owner of a new relationship coaching service called Matchmakers Plus.The company is not only a relationship coaching service, it also serves as a “Virtual Street Team” for businesses who would like to reach the African-American community through social media, blogs, and magazines. Matchmakers Plus, distributes PR releases and media campaigns for both startups and corporations. The Spike Lee Joint will be released in 2014 and will be cast by newcomers. The lead actress in the film is Ms. Zaraah Abrahams a British actress from London, England. Lee saw her in a NYU Thesis Film titled “Black Girl In Paris” and knew he had to get in touch with her. “I tracked her down and Zarrah is even better than I thought. If I know anything, I know Young Talent,” Lee wrote on his Kickstater page. Marshon Thomas is a Certified Life Coach who received his certification from Fowler Wainwright International. He received his matchmaking training from Matchmaking Institute and received a Graduation Certificate from Dov Simens’ Film School. 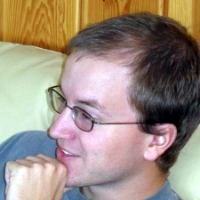 He is also known as a writer for several web sites, including YourTango.com and More.com. SPRINGFIELD â€“ Illinois State Senator Jacqueline Y. Collins (D-Chicago 16th) applauded the signing of a law that removes the statute of limitations on filing charges of sexual assault or abuse when the victim was younger than 18 and when there is either corroborating physical evidence or evidence that a mandated reporter knew about the crime but failed to notify authorities. According to the Illinois Coalition Against Sexual Assault, most child victims are not ready to report sexual abuse under after the current 20-year statute of limitations has expired. This means perpetrators may remain free to exploit and abuse other children throughout their lives. There are numerous reasons child victims may not be willing to come forward and press charges, even after they are adults. Most were assaulted or abused by a family member, and it may be difficult for them to put enough distance between themselves and their abusers â€“ even in adulthood â€“ to go through with a criminal prosecution. The adult victim may need to become economically independent, relocate or undergo years of counseling before being ready to come forward publicly against the perpetrator. Thanks to advances in DNA testing and forensics, physical evidence can survive and be used in a criminal prosecution years or even decades after the crime was committed. Prosecutors will retain discretion over whether or not proceed with charges in an older case, and by requiring some corroborating evidence to be present, the new law protects against frivolous or harassing lawsuits.